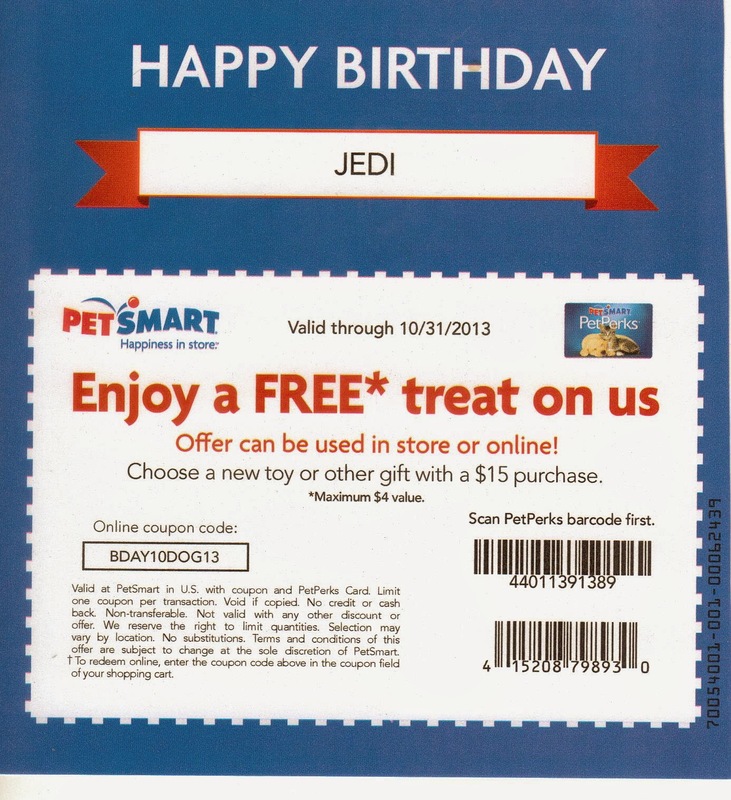 Kelley's Dog Blog: Happy Birthday Jedi! I started with a party hat. I love hats, and think dogs wearing hats are hilarious! Unfortunately, Jedi's feelings towards hats haven't changed since Easter. After 20 pictures and some creative editing this is all you get. Sorry. We also did presents. 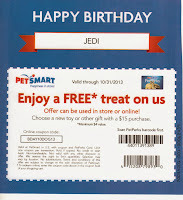 Petsmart sent Jedi a Happy Birthday coupon for a free toy/treat (with additional purchase, of course). We bought another puzzle toy (review here) and a Superman chew toy. We're Batman fans and have no problem with the dog chewing on Superman. Kong sent a $2 coupon as well, so Jedi got some Kong stuffers to keep him occupied in his crate while everybody is at work. 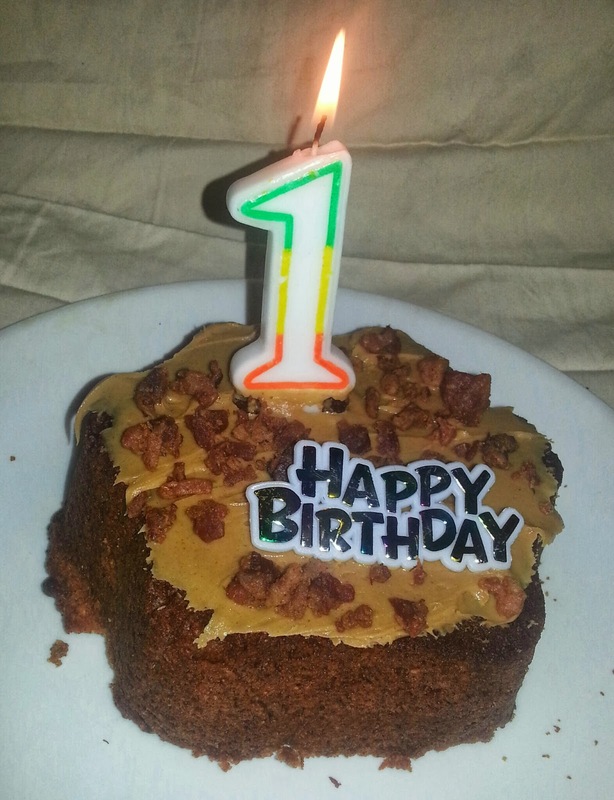 And finally, what's a birthday without cake? I searched the internet for "dog birthday cake recipes" and the same recipe showed up on a dozen different sites. Hmmm . . . So this is what I made. Want the recipe? Combine egg, peanut butter, honey, oil and vanilla extract in a large bowl. Stir in carrots and mix thoroughly. Sift together flour and baking soda, then fold into carrot mixture. Spoon batter into baking pan. Bake for 40 minutes. let cake cool in pan for 10 minutes, then turn onto wire rack. Cool completely before frosting. Jedi and Roxy both liked the cake; Son #2 not so much. (Yes, we all tried it.) The cake is really dense and a little bland for humans. NOTE: Since there are no preservatives it should be consumed soon. Don't be stingy, it's a party! P.S. Below is one of my favorite videos on the internet. 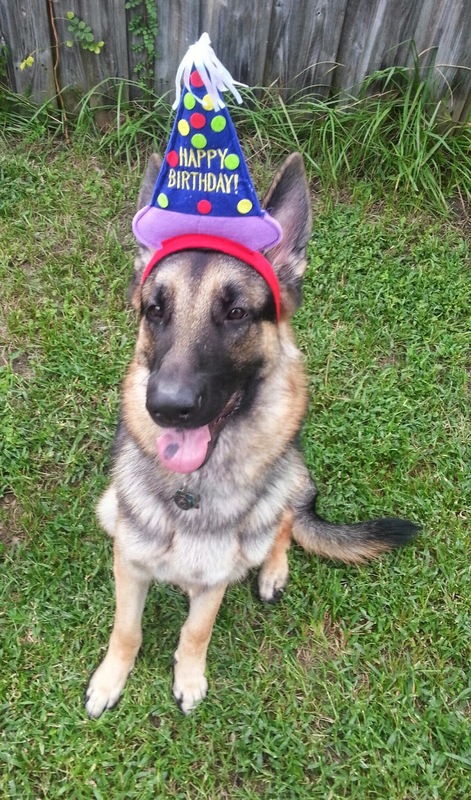 Dunder (another beautiful German shepherd) grows up before your eyes. Enjoy!